Today is a very scary day for writers. National Novel Writing Month (NaNoWriMo) begins at midnight tonight, which means the hours are ticking down and the time to prep your novel is coming to a close. This can be more frightening than walking through a haunted house, but fear not! I have some tricks and a very fun and useful link to share. I’ve also included in this post a handful of horror freebies and a dealio from Amazon. You can read one of these between handing out candy to the kids. Winning NaNoWriMo means writing 50,000 words in 30 days. It’s possible. I’ve done it twice. Here are a few tricks I’d like to share. One of the main goals of NaNoWriMo is to learn to turn of your internal editor and just write. This is a first draft and there is no need for it to look nice and clean. It can be as messy as a kitchen after Thanksgiving dinner. So, let’s say you write a paragraph, a page or even a chapter and you don’t like it. Don’t delete it. If you do that, you’re deleting precious words towards your word count and goal. Plus, you never know if there’s a gem of an idea that’s later worth salvaging. My method is to gray out that text rather than delete. That way, when I go back and edit, the text is marked as something I initially didn’t like. When you go back to edit, you know what is supposed to happen and you can flesh the scene out. And, yes, these bracketed scenes are definitely to be used in your word count. If you write speculative fiction, you can get slowed down trying to think up names. I don’t just mean people, I mean creatures, taverns, spells, countries, planets, etc. Don’t waste trying to think up the perfect name. Instead, use a placeholder. But thinking up an appropriate placeholder can waste time as well. That’s what makes Seventh Sanctum such an awesome resource. Seventh Sanctum is a portal for all kinds of name generators. Need a name for a magic spell, a martial arts move or a type of space phenomena? Go to the appropriate generator and quickly find one that will work for now. Who knows, you may even find a keeper. Be sure to generate a list of at least 10 names to give yourself a choice. Just so you know, I haven’t read any of these books, but they look pretty creepy and fun. All are free, except the first one, “999,” which costs $0.99. This is a great deal, considering it includes stories by authors such as Stephen King and Neil Gaiman. 999: New Stories Of Horror And Suspense Not Free. $0.99. Award-winning writer and editor Al Sarrantonio gathers together twenty-nine original stories from masters of the macabre. 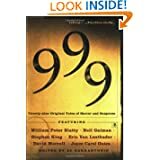 From dark fantasy and pure suspense to classic horror tales of vampires and zombies, 999 showcases the extraordinary scope of fantastical fright fiction. 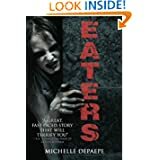 The stories in this anthology are a relentless tour de force of fear, which will haunt you, terrify you, and keep the adrenaline rushing all through the night. It takes more than silver bullets to kill a werewolf. Sylvester James knows what it is to be haunted. His mother died giving birth to him and his father never let him forget it; until the night he was butchered by a werewolf–the night a full moon ruined his life. Alone in the world, Sylvester is taken in by Michael Winterfox, a Cheyenne mystic. Winterfox, once a werewolf hunter, trains the boy to be a warrior–teaching him how to block out pain, stalk, fight, and kill. Following the characters down into the creepy underground world they discover is exhilarating and absorbing. I was always wanting to know the answer to so many dark secrets. Allyn’s writing style at times reminds me of Lovecraft, managing to capture that same dread of the unknown. So, after a painstakingly long soul-searching (at least five minutes) and after grappling with the possible fate of your immortal soul (who cares if you’re not going to die, anyway), you’ve decided to become a vampire. Congratulations! 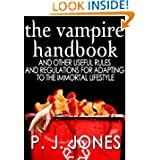 But before beginning that dark and shadowed journey into a life of eternal damnation, every vampire is required to read THE VAMPIRE HANDBOOK, a short step-by-step guide to becoming a vampire and then adjusting to the bloodsucking lifestyle. Cheryl and her fiancé Mark, a soldier recently returned from Afghanistan, are on their way back to Denver after a reunion camping trip in the mountains when they receive word an epidemic is spreading like wildfire. But this is no ordinary virus. Those infected, dubbed “Eaters,” are reanimated corpses whose lust for rotten food quickly turns to an insatiable desire for human flesh. When Mark becomes infected, Cheryl is forced to venture into this insane new world on her own. Hoping to find her family still living, she strikes out on a blood-soaked journey that forges her will to survive. People seem real excited about Halloween this year. Several friends have eagerly carved their pumpkins, only to have them disintegrate into piles of smelly goo. I went to IKEA on Wednesday and saw a young woman (a customer) dressed as a witch. At dinner last night, a girl in the booth across from ours was wearing zombie makeup. And speaking of such, Denver’s 7th Annual Zombie Crawl is happening this Saturday, October 20. I love the address of the website: eyeheartbrains.com. 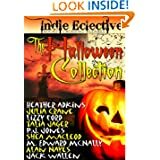 I thought I’d get in on the act and find some Halloween and horror-related freebies. There were plenty to be had on Amazon. These were the ones I chose. 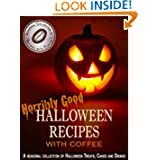 Part of the ‘Seasonal Collection of Recipes with Coffee’- This Halloween recipes book combines many of the traditional holiday recipes with the author’s love of coffee, bringing an entirely unique twist to your Halloween. 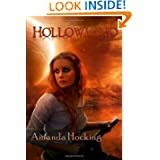 Hollowland – the first book in the young adult dystopian series The Hollows.. “This is the way the world ends – not with a bang or a whimper, but with zombies breaking down the back door.” Nineteen-year-old Remy King is on a mission to get across the wasteland left of America, and nothing will stand in her way – not violent marauders, a spoiled rock star, or an army of flesh-eating zombies. 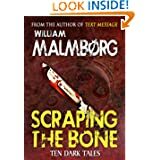 Ten dark tales that step into the shadows of humanity that few dare to enter. REDSTONE LAKE – a newlywed couple ventures to a family cabin in the woods that conceals a disturbing incident from the past. REST STOP – a fed up wife runs into terror rather than away from it while fleeing her abusive husband. JACOB’S GIFT – a boy takes a midnight tip to the graveyard to dig up his brother who he believes is still alive. School is out and summer has begun. For eleven year old Timmy Quinn and his best friend Pete Marshall, the dreary town of Delaware Ohio becomes a place of magic, hidden treasure and discovery. 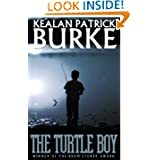 But on the day they encounter a strange young boy sitting on the bank of Myers Pond, a pond playground rumor says may hide turtles the size of Buicks, everything changes. Sixteen-year-old Riley Williams has been able to see ghosts since the car crash that took her mother’s life and shattered her family. 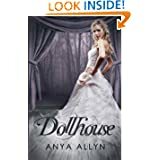 Guilt-ridden over the belief that she’s somehow responsible for her mom’s death, Riley is desperate to see her mother’s elusive spirit to gain her forgiveness. 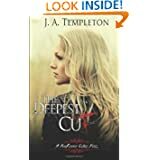 When her father moves the family to Scotland so they can all start over, Riley believes her life couldn’t get worse–that is until the ghost of nineteen-year-old Ian MacKinnon catches her purposely cutting herself. An uneasy truce quickly turns into friendship, and soon Riley’s falling hard for Ian.